Robert Pattinson is best known for his portrayal of Edward Cullen from The Twilight Saga films, based on Stephenie Meyer’s vampire-romance novels. Though, Harry Potter fans first knew Pattinson as Cedric Diggory. In 2010, Pattinson was named one of TIME magazine’s 100 Most Influential People in The World, and Forbes ranked him as one of the most powerful celebrities. But what has Robert Pattinson been up to lately? The Twilight star picked up this modest Spanish-style, 2 bedroom, 2 bathroom Hollywood Hills home for a mere $2.18 million in October 2014. 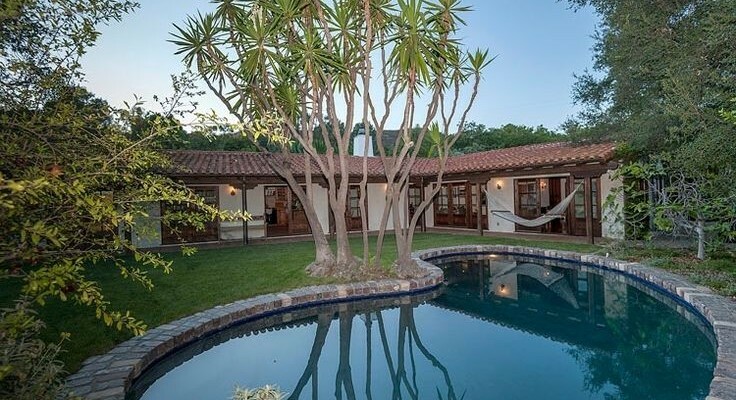 According to Zillow, “Pattinson appears to have an affinity for Spanish-style architecture, based on the similarities to his previous residence he shared with then girlfriend and co-star, Kristen Stewart. This Spanish-style home boasts vintage terra-cotta tile, wood flooring, curved archways, and custom built-ins.” This home is well suited for a young hollywood bachelor. What are the characteristics of Spanish-style architecture? Built from indigenous components such as adobe and coquina rock. Thick, stucco-clad walls. Stucco walls are ideally situated for warm climates. Small, open windows. Wooden shutters are traditionally mounted on the inside of the home. One level (ranch style) with minimal steps from the exterior. Ornamentation on these homes is limited to arches on entranceways, interior windows, and passageways. Wooden roof supports project out over the exterior walls in classic Spanish-style. Inner courtyards serve as informal gathering areas for family and friends.